They've finally arrived. Our new Sandlake Country Inn environmentally friendly water bottles! Now our "Certified Green" Oregon Coast bed and breakfast just got a little more green! For years, we've been supplying our guests with store bought plastic water bottles for their convenience. We've always told our guests that after they drink the water in those plastic bottles, just fill them up with our wonderful spring water right from the tap. We would then recycle the used bottles. Getting our own water bottles has been something I've wanted to do for a long time, but other projects seemed to take over. Not anymore! Each room at Sandlake Country Inn is now provided with 2 sanitized personal water bottles for your use during your stay. We opted to have clips on our bottles so you can take them with you on hikes and day trips. Our tap water is wonderful spring water. Our spring is located on Nature Conservancy land (originally part of the original homestead here) and we gravity feed it to our pump house. As a small water system, we are required to report to the Health Department and the State has us inject a very small amount of chlorine for safety. Our water is tested 5 times a year to ensure the quality. We've always had wonderful, clean fresh water for our guests. It just doesn't get any fresher than that! 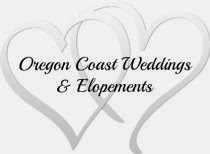 "Your Romantic Oregon Coast Getaway, near Pacific City Oregon"